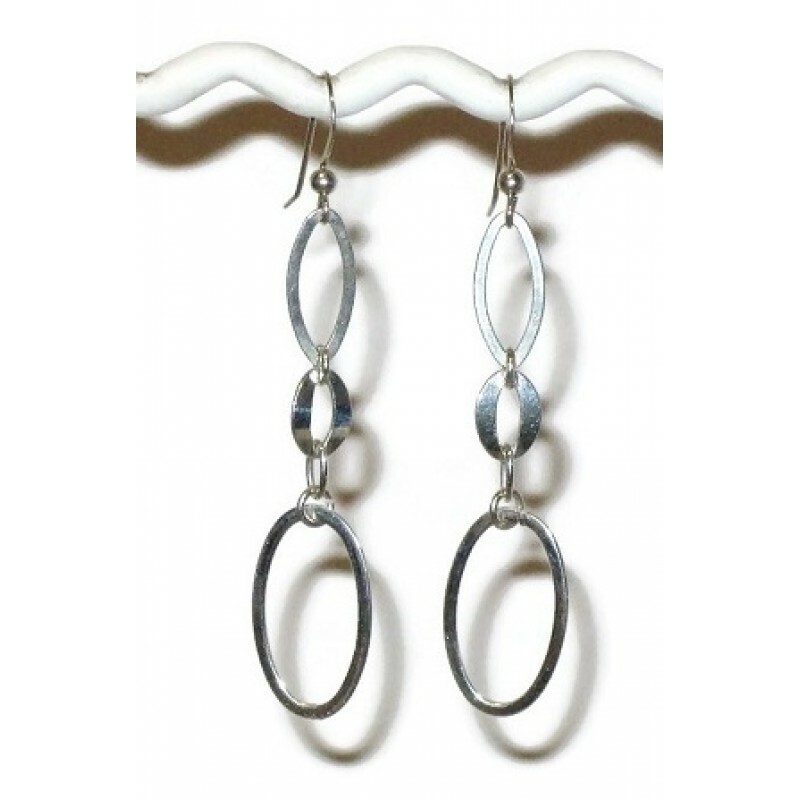 These earrings has a combination of 3 different shaped components for added style. They hang on sterling silver earwires and measure in full length approximately 2 3/8 inches. These sterling silver earrings consists of 2 hammered textured ovals with a marquise-shaped compon..